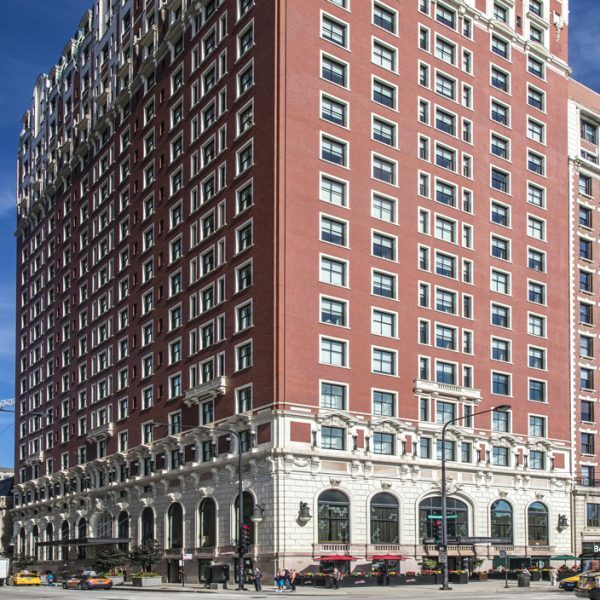 You won’t get a more convenient Chicago hotel downtown than The Blackstone Hotel. We’re located on Michigan Avenue — across from Grant Park, just blocks from the lakefront, and central to all the fun things to do in downtown Chicago. 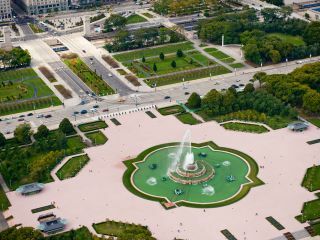 Often called Chicago’s “front yard,” Grant Park is a 319-acre recreational haven and the setting for one of the city’s most iconic attractions: the magnificent Buckingham Fountain. Among hotels near Grant Park, The Blackstone makes it easy for you to enjoy the many annual festivals and events that take place in the park, from the Taste of Chicago to the Chicago Blues Festival, the Chicago Marathon and more. 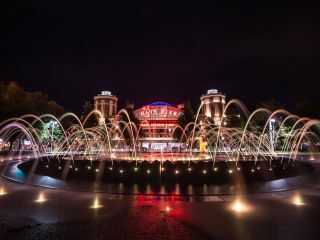 Located in the northeast corner of Grant Park, Millennium Park encompasses a state-of-the-art collection of architecture, landscape design and art that provide the backdrop for hundreds of free cultural programs including concerts, exhibitions, tours, and family activities. 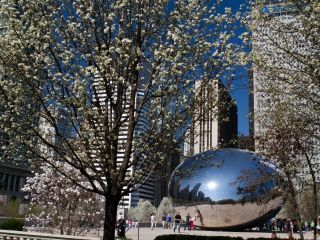 A lively, spectacular gathering spot located in the heart of the city, Millennium Park is home to Cloud Gate — famously known as “the bean” sculpture — as well as the Jay Pritzker Pavilion, setting for the Grant Park Music Festival and other concerts. Stroll the gardens or go ice skating in the winter. There’s always something going on. Chicago’s lakefront is not to be missed. 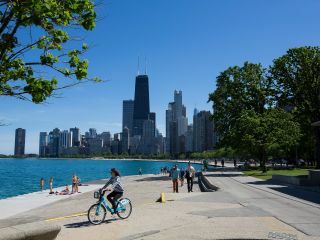 Walk, bike or jog the 18-mile Chicago Lakefront Trail. Hit the beach. Take advantage of opportunities to boat, fish and more. 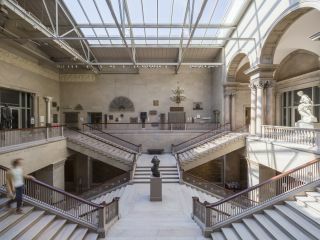 The second-largest art museum in the country, The Art Institute of Chicago has one of the most impressive collections of impressionist paintings and surrealist works of art in the world. You can spend an hour or two spotting Georges Seurat and Edward Hopper, although art lovers will want to spend much longer. From its Ferris wheel to an IMAX theater and a beer garden, Navy Pier is one of the most popular Chicago attractions. Beat the heat with a breeze from the lake, and stop by on Wednesday and Saturday evenings during the summer for the fireworks show. 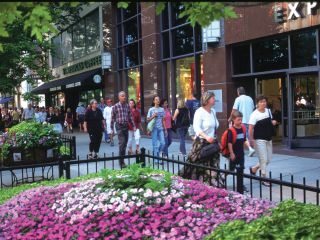 Many of the most upscale shops in Chicago are conveniently located, as the name suggests, within a one-mile-long shopping strip along North Michigan Avenue. Swing by the high-end chains for all of your shopping needs, from fashion to electronics and more. What do whales, our solar system and the world’s most famous T-Rex fossil have in common? 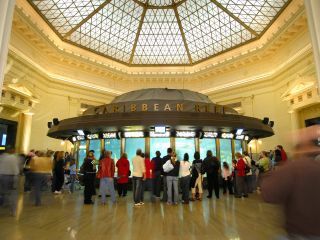 All can be seen at Chicago’s museum campus, which includes the Shedd Aquarium, Adler Planetarium and Field Museum of Natural History. If you’d like to explore further, you can catch a water taxi from the museum campus to Navy Pier. The Chicago Architecture Center (CAC) is a non-profit organization that offers tours, exhibitions, programs and events for all ages. 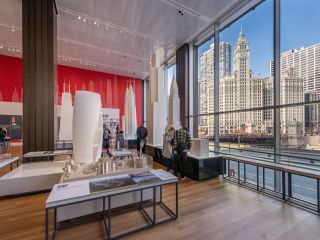 Inside the CAC, you’ll find exciting programs for kids and adults and new, imaginative exhibits, including the Chicago City Model Experience, a large scale model of Chicago’s downtown, now expanded to more than 4,200 buildings. Upstairs, the Building Tall exhibit features supersized scale models of famous skyscrapers from Chicago and around the world. With more than 85 boat, walking, bus and bike tours, the CAC also offers the world’s largest and most diverse architecture tour program. Find out more at www.architecture.org. Head to “Broadway in Chicago” to catch the most exciting touring productions while they are in town. The Chicago Theater District includes the historic and lavish Chicago Theater. The Oriental Theater and the Cadillac Palace Theater. 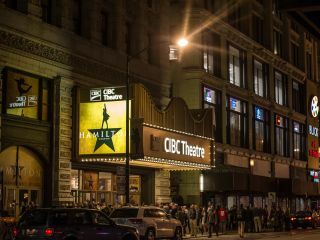 Chicago’s local theater scene is also vibrant – find out what’s on stage at www.theatreinchicago.com. The Blackstone hotel is the closest luxury hotel to McCormick Place Convention Center, the premier convention facility in North America. 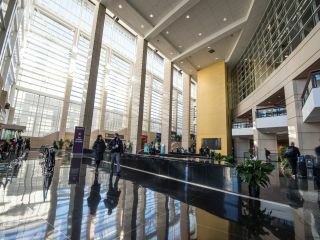 If you’ll be attending a trade show, conference or convention at McCormick Place, our location gives you the best of both worlds: convenience to McCormick Place without sacrificing proximity to downtown.